I like outdoors,nature,and enjoy reading,sports (especially swimming) and travelling. I like to learn about other cultures and see the world from other peoples' perspective. I speak four languages: Arabic, English, French and Italian. Hi! 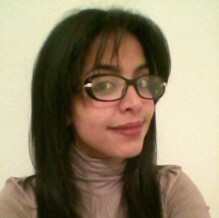 I'm Noura, 24 years old, from Tunisia. I studied literature and civilisation and am particularly fond of art, and philosophy. I am not a smoker, don't have a drivers license, I am not a vegetarian and I have no allergies.